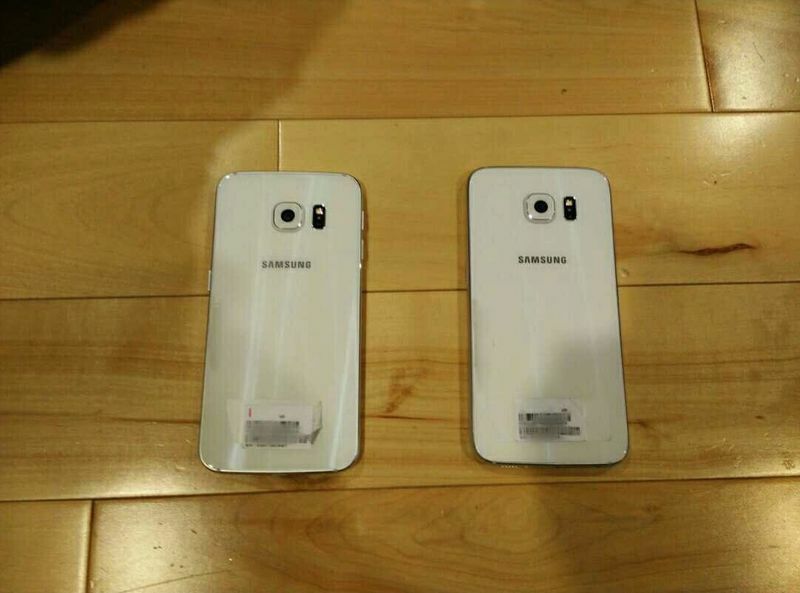 It was only yesterday the Samsung Galaxy S6 was leaked, and today, we have another set of images comparing the galaxy S6 against its (presumably) more premium sibling, the Galaxy S6 Edge. 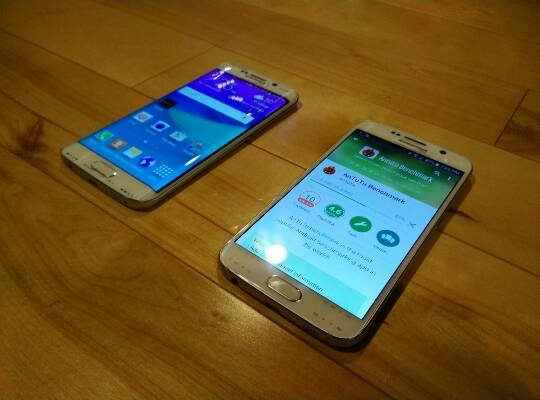 Unlike the Galaxy Note Edge, the S6 Edge seems to take on a different approach with its curved display. Instead of working independently like the one on the Galaxy Note Edge, the curved display (or displays) of the Galaxy S6 Edge seems to be a part of the main display. It also seems to occupy less space, allowing the power button to be placed on the right side of the device. With a subtler curve, the S6 Edge’s ergonomics should be better than the Note Edge. 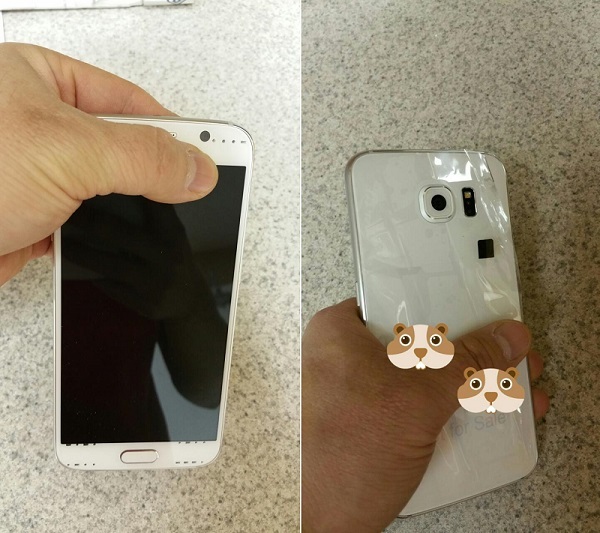 The S6 Edge has been reported to feature a “three-sided display,” which suggests that the display will curve on both the left and right sides of the phone. But due to the angle that the picture was taken – intended or not – it’s hard to say if this is really the case. It does seem to curve on the left side as well though. If the S6 Edge will in fact feature two curved displays, it should solve the issue between right and left handed users as both sides of the phone will have the unique display. Although these images of the alleged Galaxy S6 and Galaxy S6 Edge look very convincing, we can’t say with certainty that these are the actual smartphones that Samsung will be unveiling at MWC 2015. In any case, we will find out soon enough on the 1st of March when the devices are officially launched by the Korean giant.